As a family owned and operated business, we strive to treat our customers like part of our extended family circle, offering them attentive, personalized service...the kind we ourselves would like to receive. ** NO MEETING FOR APRIL ** MAY PROJECT DETAILS COMING SOON. 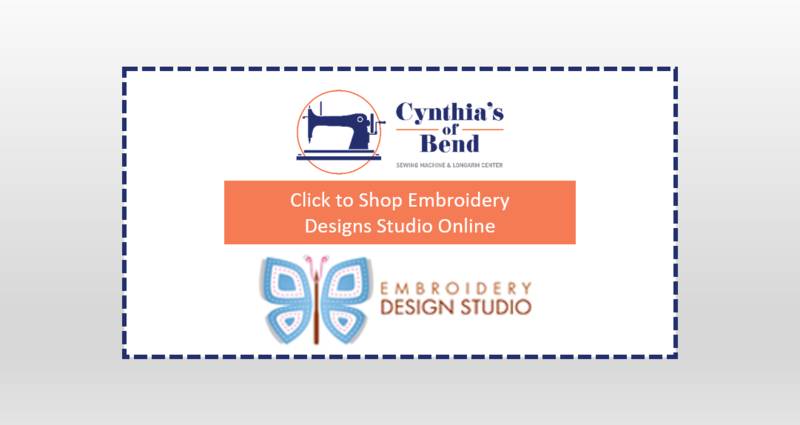 Cynthia's of Bend has updated the format for our Embroidery Club Meeting and we will start the new format in February. 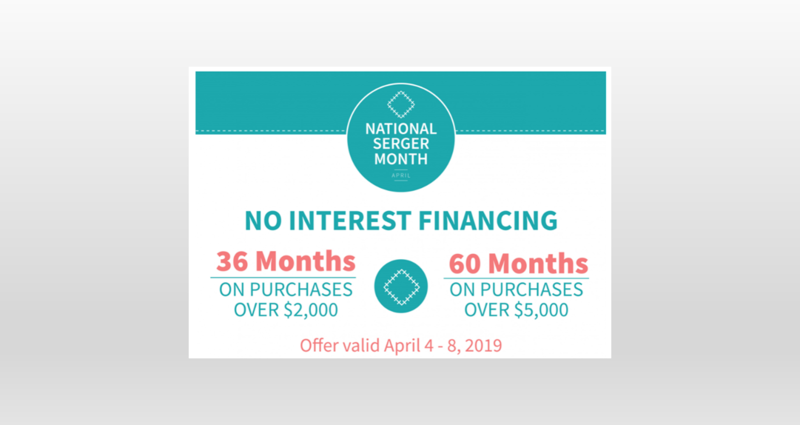 We listened to our customers! They wanted sew the monthly sample "SEW WE ARE GOING TO SEW". *** Note we have moved the date to the 3rd Saturday at 1:30pm*** We look forward to seeing you all Saturday, February 9th at 10:00am. Class kit fee $5.00 Please sign up early so we can have a kit ready for you. 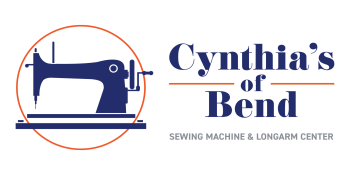 FOR YOUR CONVENIENCE, CYNTHIA'S WILL PROVIDE ALL MACHINES FOR THE CLUB MEETING. Embroidery Club is available to all embroidery machine owners, all brands of machines. Ask about our yearly club subscription. Grab your friends and your favorite beverages for a fun social sewing event! 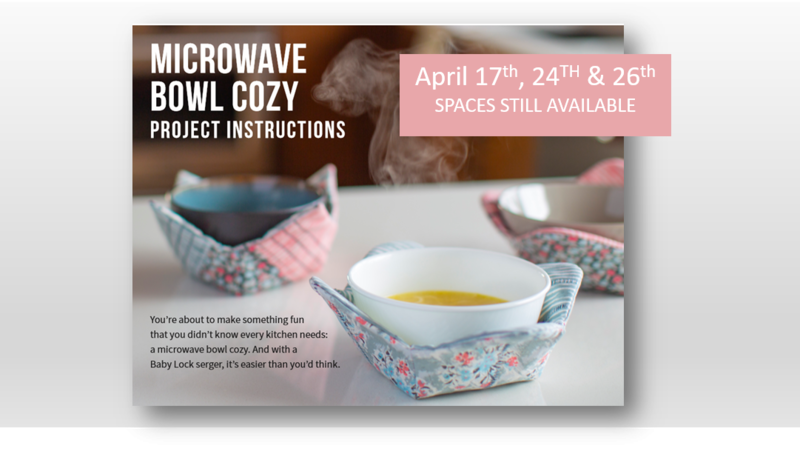 As part of National Serger Month, we're hosting a Sip N Serge Event where you'll make a handy microwave bowl cozy to take home with you. Bring your own beverage and we'll provide you with everything else you need, including the serger, fabric, instructions and more! Space is limited to five per session, so sign up today.